My mother is 74 years old and taking medicines in large quantities, I don’t know what to do? My mother is 74 years old. She says she has hallucinations. She wants to go to the doctor every day. She says she has severe pain in her right side. She was diagnosed with pre-dementia and Alzheimers prior to my Dad’s passing last year. She says she sees dead people and angels. We took her to a Geriatric Specialist. He ran every test imaginable. He said she does not have Alzheimers and she is healthy as she can be. He placed her on a regimen of vitamins and she did well for a while. Now, she has gone to many different doctors (I was unaware) and is taking lots of medications. So, I begin looking into what she has been taking medicinally. She is currently taking promethazine, amitriptyline, estradiol, omeprazole, butalbital, sertraline and donepezil. What are the dangers of taking all of these medications together? Would this be why she is feeling this pains she talks about in her side? I do not know exactly what to do at this juncture. Now that I know she is taking all of these medications, what is my best course of action? My father has been diagnosed with brain tumor – requires surgery, medication or other treatment? Question: My father have been diagnosed with brain tumor. Moreover, he has also a diabetes. How diabetes effects during treatment of brain tumor? I heard above 60 year of age, its very difficult to do surgery, is there any other treatment or medication to kill the tumor cell? While report says Tumor cell is not within the brain. Please advice me. I have a rash, thought it might be some type of fungus, doc says ringworm? 45 yr old female, no medications. 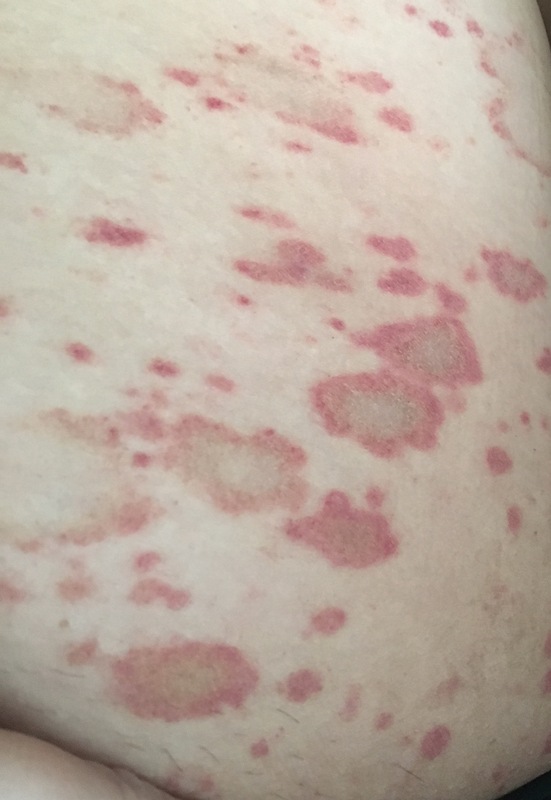 About four weeks ago I noticed a rash on my inner thigh. It doesn’t itch or burn. I thought it might be some type of fungus so I put Athletes foot cream on it but it go worse. I went to the doctor and they said its ringworm and told me to put the same athletes foot medication on it but now it’s spreading. Do you know what this could be? I’m only 31, but experiencing health issues associated with elderly people? An x-ray of my hand showed tendinitis and atherosclerotic calcification, what should I do? 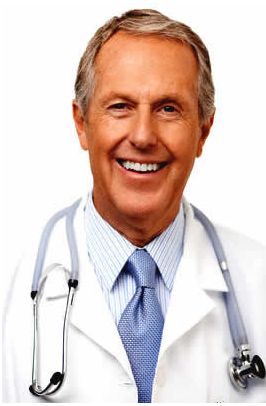 I am a 65 year Male with no medical prescriptions, in excellent health exercising five days a week (tennis). I have cholesterol numbers of 165 Total, 60 HDL, 85 LDL. An x-ray of my hand showed tendinitis but also atherosclerotic calcification in the artery. What should be my treatment (statins) or should I get additional tests such as a CT scan? 82 year old male fully conscious but can’t stand up, doctors have no diagnosis except autoimmune neuropathy? 82 year old male suffers from gastric ulcers since more than thirty years, he was under Zantac tablets for couple of years then he stopped treatment after three years from treatment. Before eight years (2008) his gastric ulcers has been diagnosed by upper gastric endoscopy and biopsy has been taken resulting in positive gastric lymphoma, he went under chemotherapy teatment for eight sessions, Cortisone and Nexium tablets (20mg) has been given after that. He continued till now on Nexium (40mg). He was completely healthy after chemotherapy and practiced his life normally (driving, walking, … etc). Endoscopy has been made after six months of the recovery which resulted in healing sign of fibrosis in the stomach wall. He was regularly following up by making x-Rays, blood tests, endoscopes … etc. He was fine till 2016 January, they made for him endoscopy (fasting 6 hours) but they repeated it three times because always they say that there is indigested food in the stomach, finally after fasting twelve hours they succeeded in the endoscopy and the result was fine showing same healing sign of fibrosis in the stomach wall. After that he started losing weight gradually from 105 kegs to 45 kegs now between the period 2016 January up-to-date. Last month he suffered from severe hypotension with fluctuated readings (100/60, 90/55, 80/40, 60/20 … ) with lack of knowing the exact reason, doctors told him to eat salty food; it worked fine for short period of time then he suffered again from hypotension, they said he is suffering from adrenal insufficiency (Addison’s disease) and anemia; they gave him blood tonics, parental hydrocortisone, and Florine F 0.1 then continued on tablets of twice daily for couple of days, no improvement. Kidneys tested by specialist and monitored since creatinine was fluctuating from 1.5 – 2.5. After five days from taking Hydrocortisone tablets he collapsed, lost consciousness, his heart stopped for eight minutes and finally rescued. He recovered partially from the problems and now he is taking parental Norepinephrine, Bramox tablets (Midodrine 20 mg x 3 times a day), Hydrocortisone tablets twice daily. Pacemaker was described for him by cardiologist and it was fixed to regulate the pulse rate and it was done successfully. Cardiologists did echo and moga scans and reported ejection fraction (60%), (Normal). Whenever Norepinephrine dose is reduced hypotension occurs, the dose varies from (0.25-2-4-10-16mcg). Hemoglobin was down as parallel sign from 14 to 7, blood tonics tablets were given without any improvement, blood units (5 till now) has been given to him and Hemoglobin still fluctuating from (7-10). In addition to all mentioned he is having lung fusion and liquids are removed on regular basis, cultures shoed no malignancy on cytology testing. CT scan was done and it was clear of any tumor cells. Colorless material was used in CT scan. Culture test for water in the lungs was normal. Total water removed was about 7 liter and still forming. Also positive Candida albicans in the lungs and he is receiving parental antibiotics. Now he is unconscious from Yesterday, he wakes up few minutes and then sleeps without movements of hands or legs. My husband is 29 and has facial paralysis, may be developing synkinesis, what can be done next? After going to the hospital and seeing a neurologist and maxillofacial specialist, it was determined that he facial paralysis. Since then, he has done different types of therapy: he first had injections of Vitamin B and was taking B12 vitamins for a long time; he’s done a couple of rounds of physical therapy (lasting between 2 weeks to 1 month) where they did among other things a magnetic band, massage and other treatments and he was practicing at home, blowing bubbles, chewing gum, etc. He’s also done a few rounds of acupuncture. He took minimal breaks between the treatments, with the longest break being during the summer. He’s gone to check-ups with the initial specialist and with the physical therapist, who haven’t given much information, except maybe to wait a bit before starting something else or to continue doing acupuncture. He’s also done lab work – checked his thyroid, regular bloodwork, an MRI and all the results have come back ok. The specialist said that he doesn’t believe it is virus-related since there were no other signs of a virus present in the body. He hasn’t done any recent lab work – all of this was at the beginning. He is continuing to have problems and claims that everything is getting worse – he is having greater problems with his eye and is using eye drops, but his eye waters, has trouble closing it; also has issues when he drinks or eats and I believe he may be developing synkinesis or something similar because he will show me how if he moves one part of his face, his cheek with also go up..
so, my question is what is a next step that he could try or what else can he do in order to help improve it or at least stop the paralysis from getting worse? If there is no blood flow to the head, what can be done for an 87 years old patient? My mother had a severe pain in her lower back can’t walk far, sleeping all the time, spacey, urination problems? My mother has copd and chest infection, is she dying?